We start out with a visit to Gubeikou, a strategically important portion of the Great Wall that even saw fighting in the 20th century against the Japanese. We will advance into Jinshanling, which is one the most photographed parts of the Great Wall, and which features watchtowers as far as the eye can see. For the second day, we’ll start from the western end of Simatai, an unrestored section known for its challenging path. 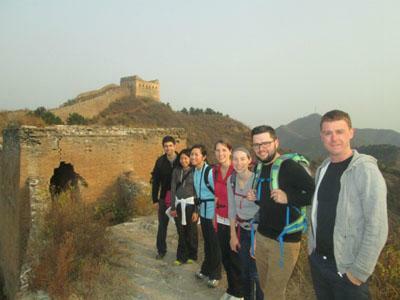 We’ll enter Jinshanling from the opposite end that we came yesterday, and for the night we’ll camp out in a Great Wall watchtower, which is sure to be one of your most cherished memories during your time in China. On the third day we’ll make our way to Jiankou, a ruggedly beautiful portion of wall that features stunningly dramatic ruins and steep climbing. Set above in the mountains, the scenery is sure to take your breath away. On the fourth and final day we’ll cross over into Mutianyu, a tastefully restored section that has played host to visiting dignitaries and heads of state and which features an incredibly fun toboggan ride on the way down!